Menu Description: "Three layers of light and airy sponge cake and strawberry mousse, drenched in strawberry sauce, topped with vanilla ice cream, fresh strawberries and whipped cream"
The Strawberry Tallcake is a signature, trademarked item for Ruby Tuesday. It's pretty big, so plan on sharing it. This recipe calls for baking the sponge cake in a large, shallow pan—I use a baking sheet that has a turned up edges to hold in the batter. 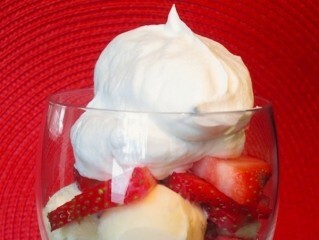 The strawberry mousse made here to frost the cake is a great, simple-to-make dessert on its own. 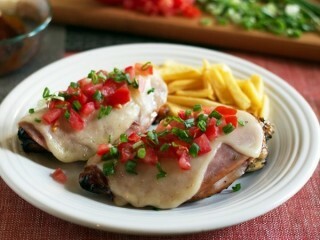 Menu Description: "Chicken breast topped with ham, barbecue sauce, tomatoes, scallions and cheese. Served with fries." When the founder of Ruby Tuesday, Sandy Beall, was reviewing some early designs of printed materials for his planned restaurant, he saw that some of the art featured the faces of University of Tennessee students printed in red. At that moment, Sandy knew he wanted to call the eatery "ruby something." Meanwhile, he and the four fraternity friends who joined him in the investment had been listening to lots of Rolling Stones music. One day when Sandy heard "Ruby Tuesday" come on the jukebox, he convinced his partners that they had finally found a name. 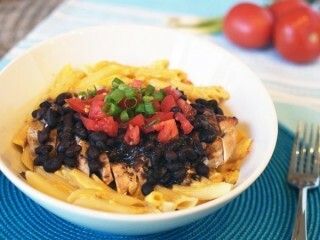 Menu Description: "Penne pasta tossed in a spicy Southwestern cheese sauce, topped with grilled chicken, spicy black beans, scallions and more." The delicious cheese sauce is easy to make using Velveeta and just a few other ingredients. The chicken is prepared over an open grill, then sliced before laying it over a bed of pasta and cheese sauce. And the black beans and peppers are added to give this dish a decidedly Southwestern taste. 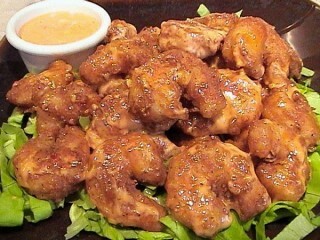 Menu Description: "Tender, crispy shrimp with a sweet and spicy chili sauce that's got just the right kick." This was another job for the micro-screen sieve. Rinsing away the mayo from a spoonful of this delicious chili sauce reveals just what I expected: sambal chunks. The minced chili peppers that sat there, now naked, in the bottom of the sieve, looked just like the type of red pepper used in sambal chili sauce. And since there were bits of garlic in there too, it was clear that the bright red chili garlic sauce you find near the Asian foods in your market is the perfect secret ingredient for the fiery mixture that's used on this popular dish from Ruby Tuesday's appetizer menu. Once you make the sauce, whip up some of the secret breading for the shrimp and get on with the frying. You can use shortening or oil here, but I think shortening works best, and it doesn't stink up the house. The no trans-fat stuff is da bomb. Once all of your shrimps are fried to a nice golden brown, carefully coat the little suckers with about half of the sauce, and then serve the rest of the sauce on the side for dipping, just like they do at the restaurant. Mosey on over to the salad bar at Ruby Tuesday and you'll find this sweet, creamy apple salad somewhere down at the end. 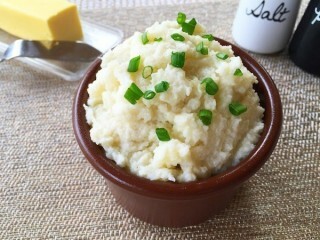 It's a simple recipe to clone with just nine ingredients, and it makes a great side for any casual cookout, picnic, reunion, or mandatory boring office party. Dried cranberries rehydrate to add notes of concentrated sweetness, and the celery and chopped pecans contribute extra crunch. You'll need two kinds of apples—one green and one red. Plan ahead on this one so that you can let the salad sit for several hours before you serve it. It tastes much better after a good fridge nap. 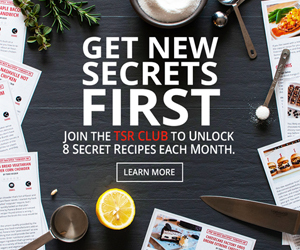 This recipe yields enough for 6 servings, but it can easily be doubled or quadrupled to fill more mouths.